AutoSSL is activated by default in your hosting account as it automatically installs and renews cPanel/Comodo certificates for each domain in cPanel. AutoSSL performs automatic check of all domains and if necessary installs new or renews the already installed cPanel/Comodo certificates. Through cPanel » SSL/TLS Status you can manage AutoSSL, perform a check or exclude a specific domain from AutoSSL. When there is a number of domains in cPanel (parked domains, subdomains, etc. ), you might experience difficulties finding a certain domain in the long list. Therefore, you can use the Search option and the filters (the gears icon). To view a certain domain or subdomain’s status, start typing its name in the search box. Results will be displayed right after you type in the first letters of the domain name. You can filter the results from the list by Domain Types, SSL Types, SSL Statuses or AutoSSL Statuses. From here you can select the domains included in the AutoSSL check when it’s performed. AutoSSL check is periodically run, but it can be also manually performed with Run AutoSSL. When AutoSSL is performing a check (installation or renewal), instead of Run AutoSSL you will view a notification “AutoSSL is in progress...” After processing certificates is completed, the page will be automatically reloaded. You can disable the installation of AutoSSL certificates for a certain domain by going to Exclude from AutoSSL. To activate AutoSSL for the same domain, use the option Include during AutoSSL. You can also exclude multiple domains by selecting them and enabling the option Exclude Domains from AutoSSL. AutoSSL is activated for each domain in cPanel. If you have manually deactivated AutoSSL for a specific domain, you can activate it again by using the option Include during AutoSSL. You can also include multiple domains by selecting them and enabling the option Include Domains during AutoSSL. After a specific domain is included, AutoSSL will automatically check it and renew its cPanel/Comodo certificate. In case you need to install or renew a certificate, use Run AutoSSL. Note: The Run AutoSSL option will initiate the AutoSSL check for all available domains in cPanel, so it might need more time to finish processing all domains. If AutoSSL cannot install or renew a certain certificate, an error message will be displayed in the Certificate Status column. "The system queried for a temporary file at “http://mailer.goodexample.eu/.well-known/pki-validation/CD40CBAF8FD6275A2A0BAAFBEA99EF91.txt”, but the web server responded with the following error: 404 (Not Found). A DNS (Domain Name System) or web server misconfiguration may exist. 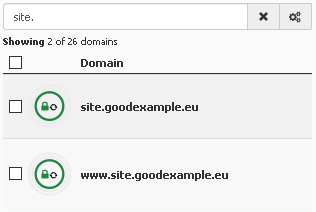 The domain “mailer.goodexample.eu” resolved to an IP address “164.138.218.155” that does not exist on this server." "mysupersite.com” does not resolve to any IPv4 addresses on the internet." To install an AutoSSL certificate into the domain you will need to redirect it to the hosting server by using name servers or an А record. "The system queried for a temporary file at “http://mysupersite/.well-known/pki-validation/085BC4C093ACABE40746261B7F2202D5.txt”, but the web server responded with the following error: 403 (Forbidden). A DNS (Domain Name System) or web server misconfiguration may exist." "No certificate available. AutoSSL does not support explicit wildcard domains. You must purchase a certificate to secure this domain." 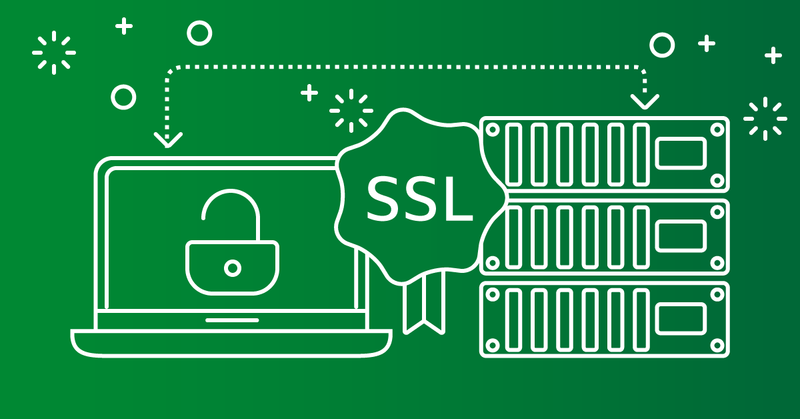 In case you wish to install a Wildcard certificate valid for all subdomains to the domain, you will need a Wildcard type of SSL certificate, such as Comodo Essential Wildcard.